There are a variety of ways to repair an Achilles tendon rupture. The most common method is an open repair. This starts with an incision made on the back of the lower leg starting just above the heel bone. After the surgeon finds the two ends of the ruptured tendon, these ends are sewn together with sutures. The incision is then closed. Another repair method makes a small incision on the back of the lower leg at the site of the rupture. A series of needles with sutures attached is passed through the skin and Achilles tendon and then brought out through the small incision. The sutures are then tied together. 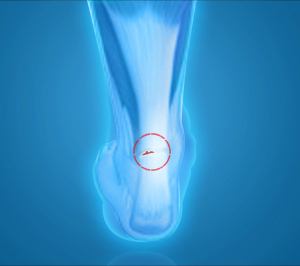 The best surgical technique for your Achilles rupture will be determined by your orthopaedic foot and ankle surgeon.